This Thanksgiving draws us to reflect on this past year to remember all that we have to be thankful for. 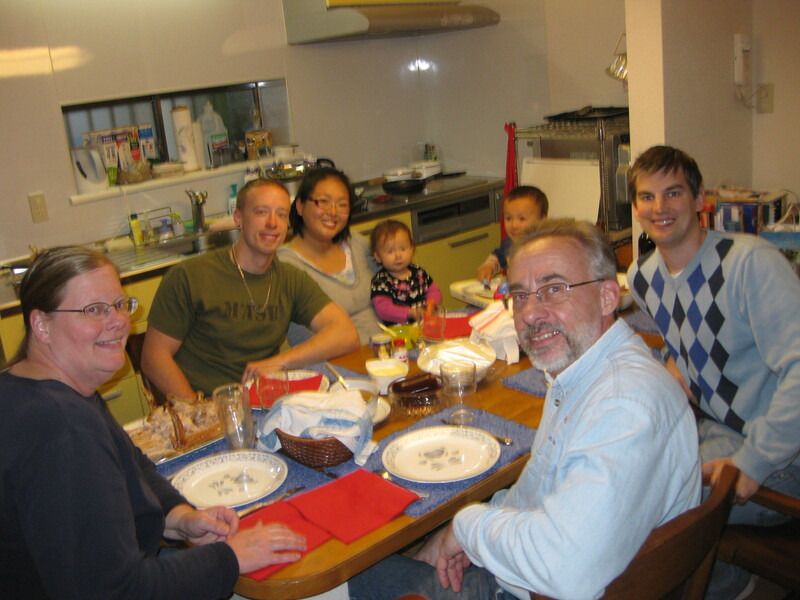 As we ate with our fellow missionary family, the Carlsons, we realize how different this year is from the past two. Last year Grant ate with fellow Edinburgh students while Miho stayed home due to morning sickness and no interest in being around food. Two years ago, we enjoyed a fantastic meal with the Yee’s, Schmidt’s, and Chyn’s, two families from our old youth group and fellow youth leaders. 1. We are now serving and living in Japan after so much time praying, dreaming, and preparing to be here! 2. We have the joy of Allie in our lives, who is healthy, easy to deal with, and adorable. 3. God has watched over the lives of both my mom and grandma throughout their health challenges. This is in part thanks to so many of you who have been faithfully praying for her and my family. 4. All of our dear friends and supporters who richly bless our lives and walk with us on this mission God has given us. Though frustrating to have been delayed a month in coming to Japan, we loved spending more time at the Pu’s home, seeing family and friends in Iowa, and getting more chances to get together with friends in Boston. 5. The once-in-a-lifetime chance to live in Europe (without kids). We loved serving in France, raising money for Haiti victims through the marathon in Barcelona, and getting to see other historical and Christian sites. 6. 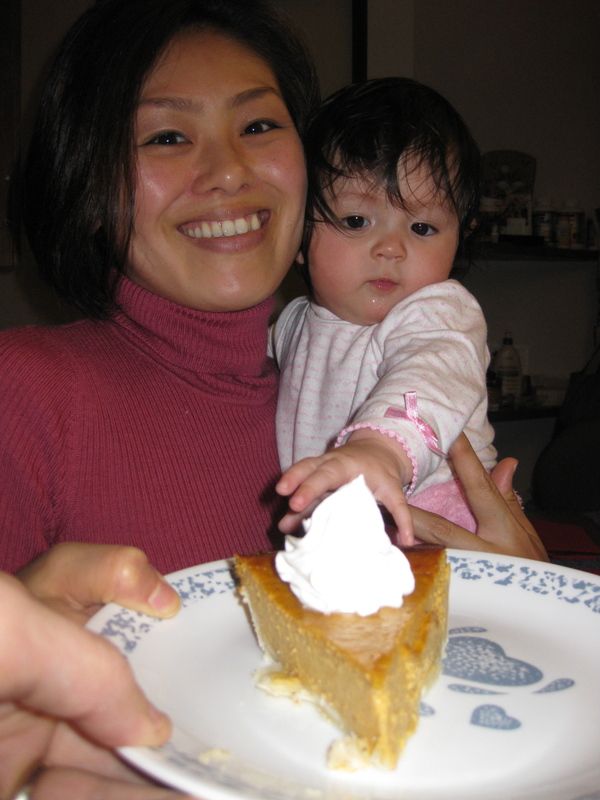 Our opportunity to work alongside our church in Japan that freely allows us to pursue the dreams God has given us, along with our ECC missionary families here who are very encouraging and helpful as we adjust to life here.